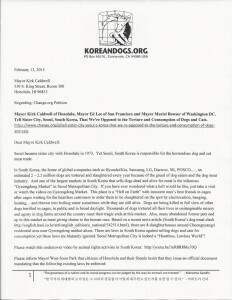 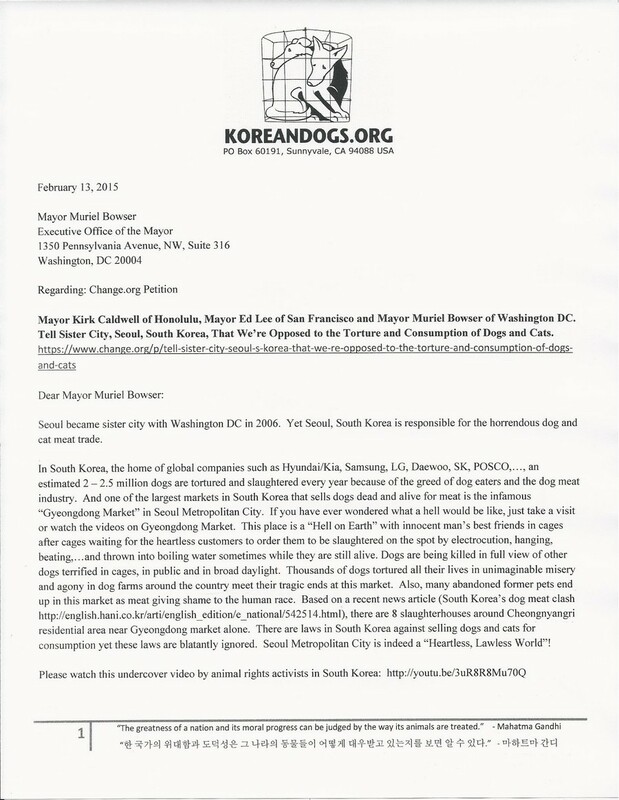 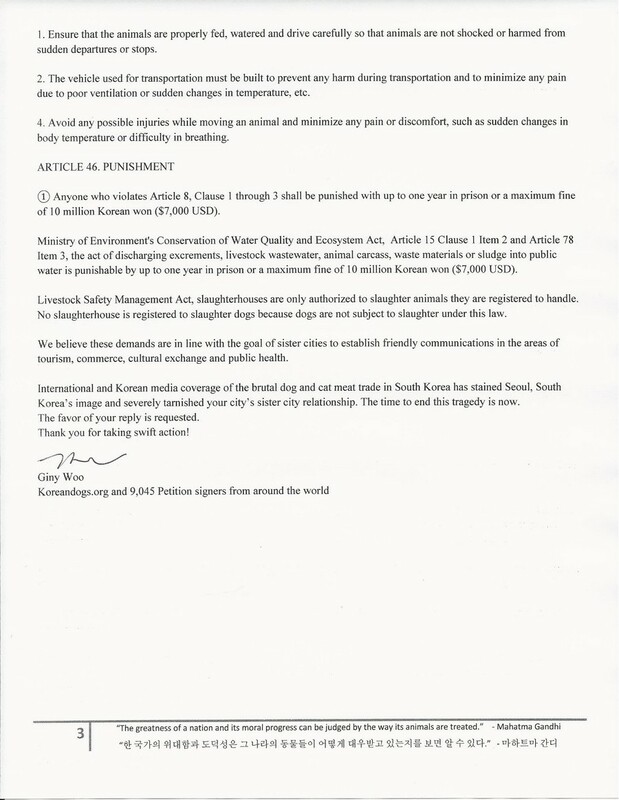 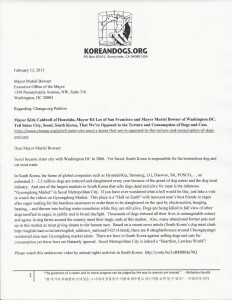 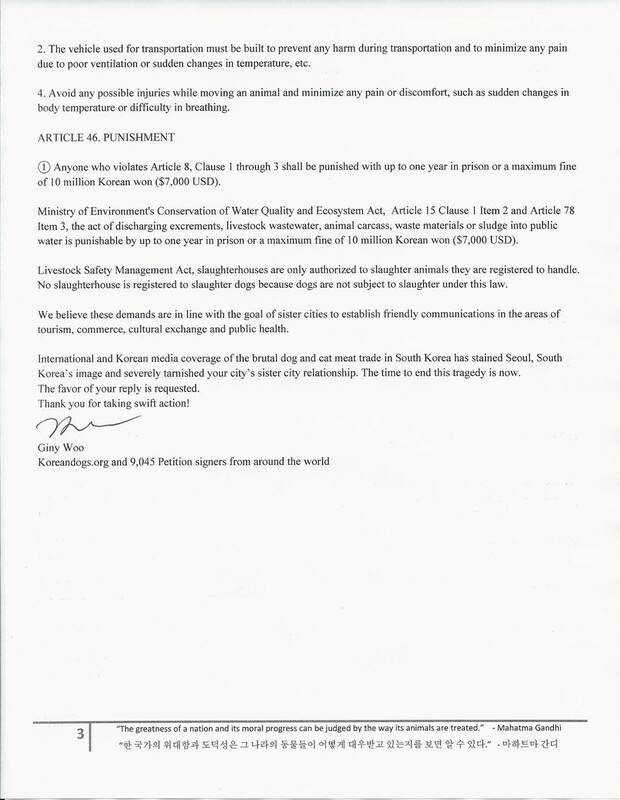 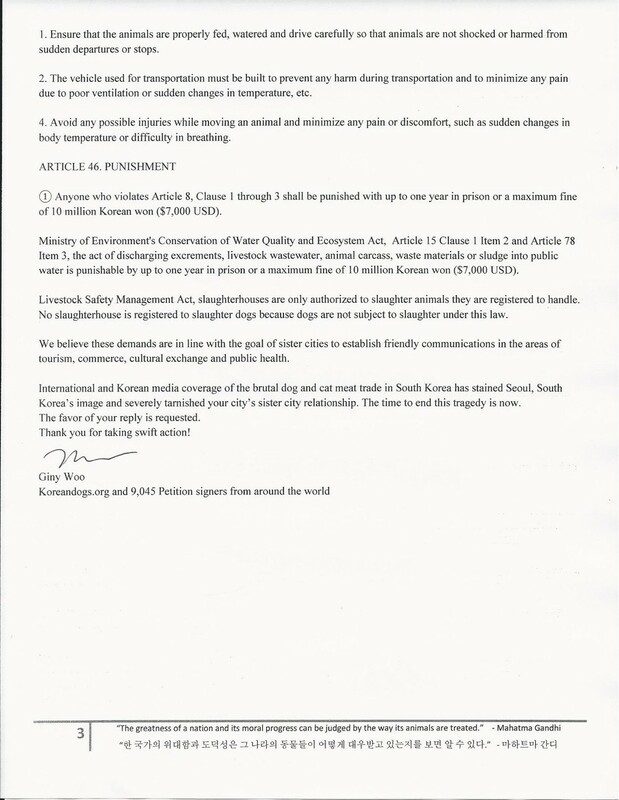 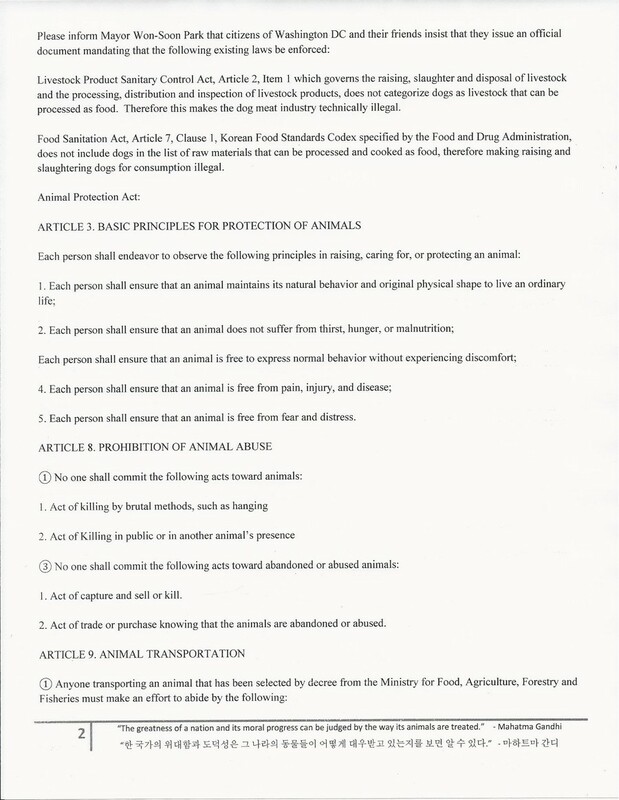 Home / Blog / Petition letters mailed – San Francisco, Washington DC, Honolulu – Tell Sister City Seoul to stop the torture and consumption of dogs and cats! We mailed petition letters for the petition, Mayor Kirk Caldwell of Honolulu, Mayor Ed Lee of San Francisco and Mayor Muriel Bowser of Washington DC. 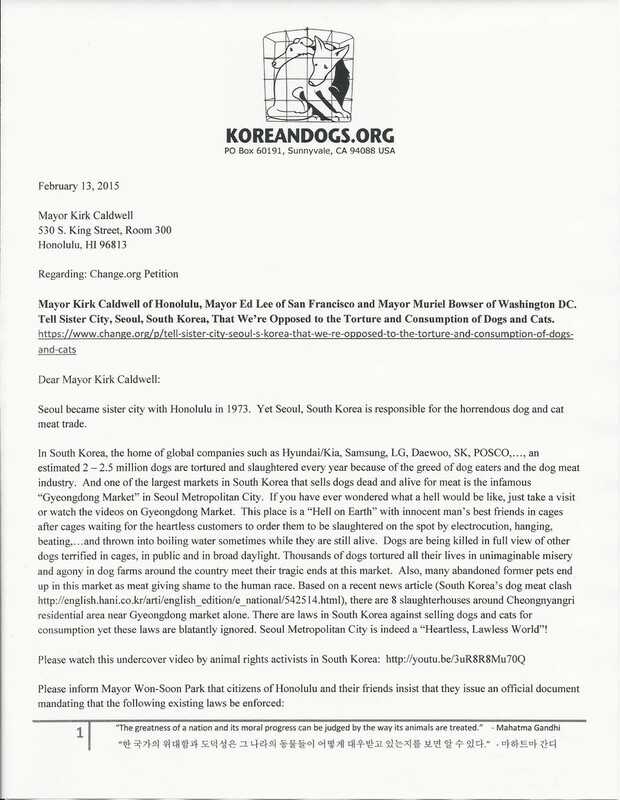 Tell Sister City, Seoul, South Korea, That We’re Opposed to the Torture and Consumption of Dogs and Cats! 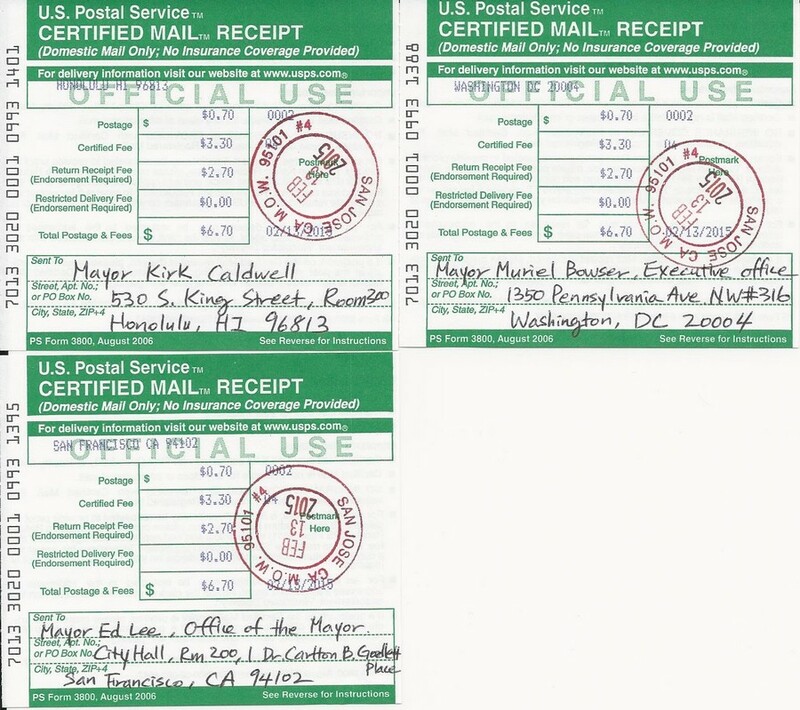 to the Mayor Kirk Caldwell, Mayor Ed Lee and Mayor Muriel Bowser on February 13, 2015 by USPS Certified mail with return receipt service as below. 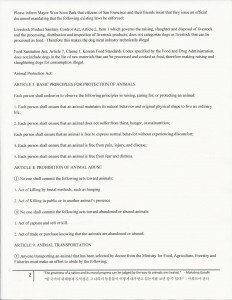 TALK IS CHEAP , THIS ABHORRENT CRUELTY TO GODS ANIMALS HAS TO BE A CRIME. 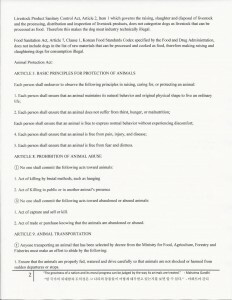 WHAT ELSE CAN YOU CALL IT ?? 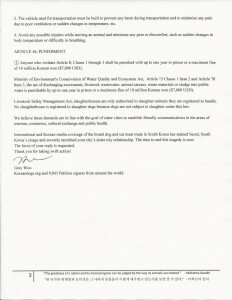 A DISGRACE TO HUMANITY AND CIVILSED HUMANS. 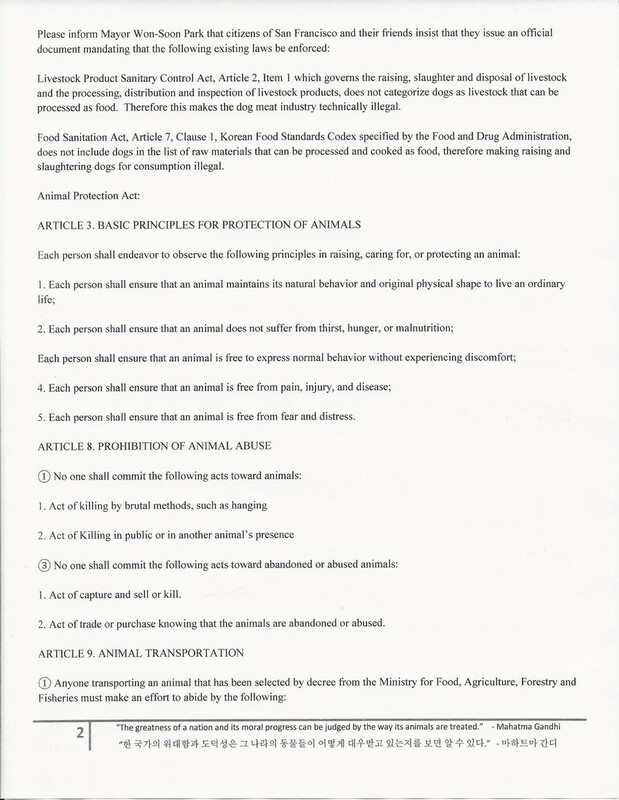 LAWS ARE NEEDED TO PROTECT THE ANIMALS FROM SUCH VILE HUMAN BEINGS. 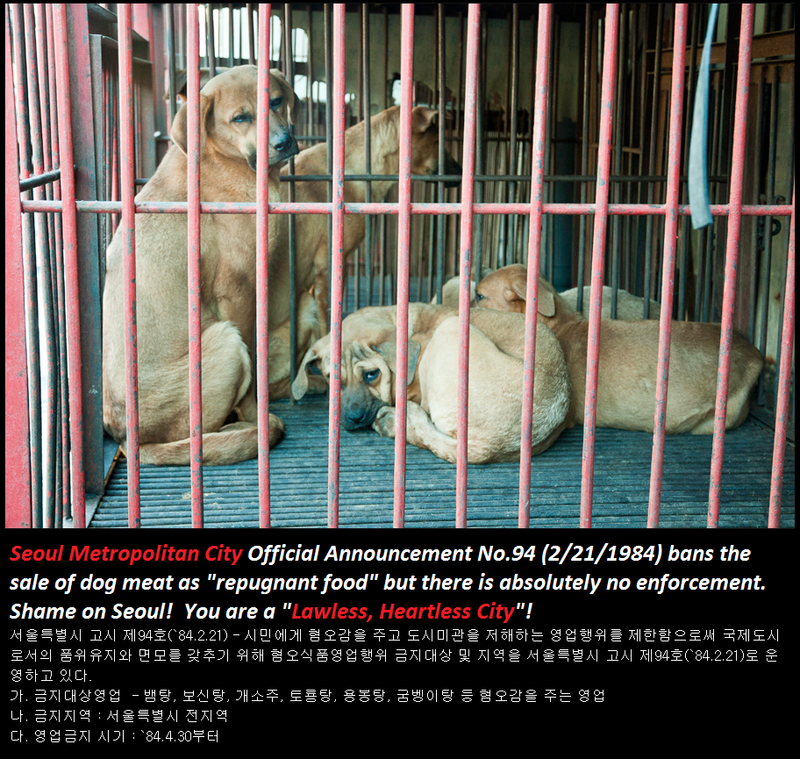 PLEASE STOP THIS CRUELTY, BE HUMAN AND START CARING FOR THESE ANIMALS. 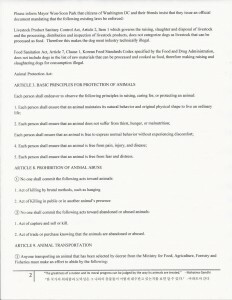 IF YOU HURT THEM YOU WILL BE HURT ONE DAY, LOVE THEM AND YOU WILL BE LOVED. 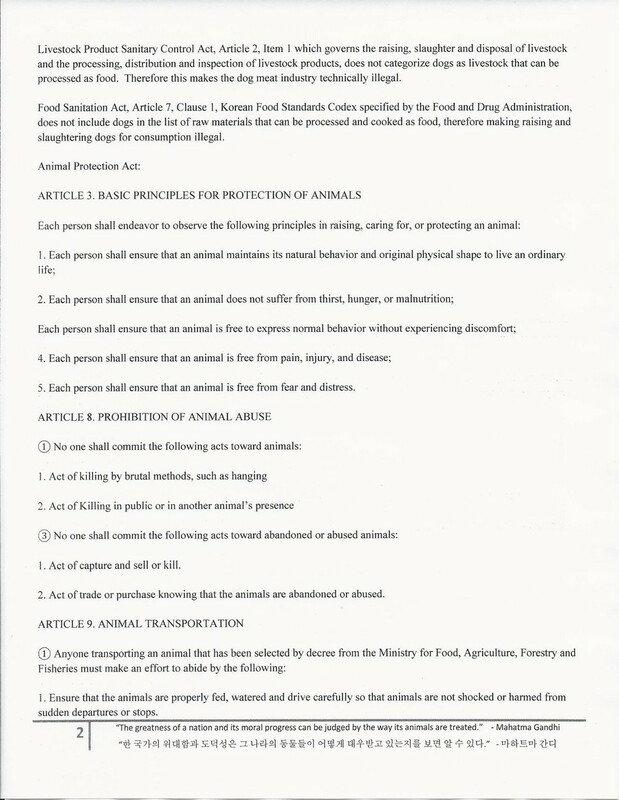 This cruelty with animals IS A CRIME! 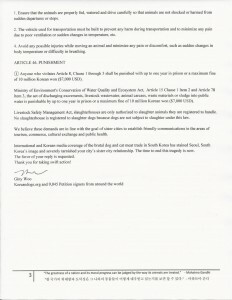 WE DON´T FORGET!